Hazel Nicholson approached what she thought was the onset of menopause not with dread, but a sense of optimism. Having raised two children, she was all too familiar with the relentless, often unappreciated drudgery of motherhood. It was only when, at 42, Hazel realized she hadn’t had a period for three months, and was feeling increasingly tired, that she visited her GP. She nonchalantly took a pregnancy test, only to be horrified when it came back positive. 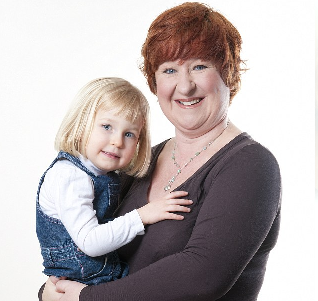 “I was shocked and devastated, and broke down in tears when my doctor told me,” says Hazel.